Indian brooch in antique-m gold colour and crystal diamante. Set with medium brown and golden stones. Makes a stunning saree pin, or can wear on the back of saree blouse. 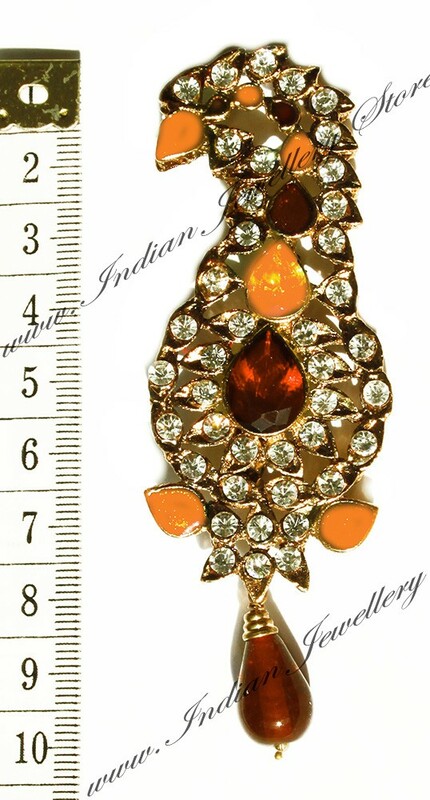 Indian brooch in antique-m gold colour and crystal diamante. Set with medium brown and golden stones. Makes a stunning saree pin, or can wear on the back of saree blouse. Other colours available. Scale shown in image is in cm.